Senate Bill 100 speeds up the state's timeline for moving to renewable energy sources like solar and wind, and requires that all retail electricity be generated from renewables by 2045. President Trump has denied climate science, begun steps to withdraw the United States from the 2015 Paris climate agreement, and worked to expand the use of coal, one of the most polluting fuels, to generate American electricity. California is the second USA state after Hawaii to commit to carbon-free energy. 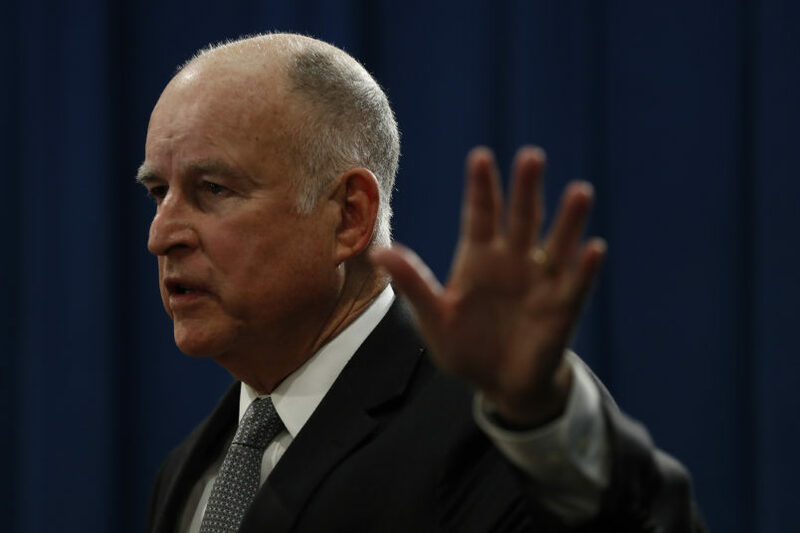 Brown also announced plans for a carbon neutral bill, mandating that the state remove as much carbon dioxide from the atmosphere as it emits by 2045. Later this week, Brown will host subnational governments, cities and businesses in San Francisco for the three-day Global Climate Action Summit. The remaining electricity came from non-renewable sources, including natural gas at 33 percent. The measure, sponsored by state Senator Kevin De Leon, requires the state to get 60 percent of its power from renewable energy by 2030, up from a target of 50 percent by the same deadline. The bill's ambitiousness is compounded by the executive order that Gov. "Trump has made himself an outlaw on the matter of climate change", he said in further comments to Politico. This marks California as the second state to strive for a carbon-free, fossil fuel-free environment, second to Hawaii. "It's not going to be easy and will not be immediate, but it must be done", Brown said. The new law keeps California at the forefront of addressing climate change, and essentially commits the world's fifth-largest economy with 40 million people to a phase-out of fossil fuels from power plants. As MIT Technology Review previously reported, the state is, "acting as a test bed for what's technically achievable, providing a massive market for the rollout of clean-energy technologies and building a body of knowledge that other states and nations can leverage". "But have no illusions, California and the rest of the world have miles to go before we achieve zero-carbon emissions". SB 100 has been a two-year project by de León, who will face off against sitting U.S. Sen.